With Our Unmatched Commitment to Quality and Budget! Wood, Vinyl, Corrugated. You Chose the Material and We Will Build the Fence of Your Dreams! Heavy Duty Vinyl, Wood, 2x4 Non-Climb Wire, Wood Pole. We Are Committed to Build You the Safest and Durable Fence to Keep Your Horses and Animals in, Or to Keep Other Animals Out! Need Some Privacy? We Have the Fence for You in Vinyl, Wood, or Corrugated Metal. Vinyl Fence, Durable Long Lasting, Beautiful. Fencing in Your Pool for Safety or Privacy, Fencing Your Estate, Backyard Privacy. 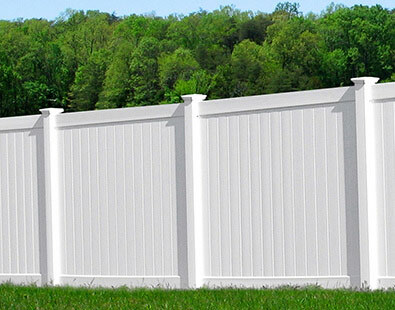 Vinyl Fencing Might be Your Perfect Choice. A Variety of Colors from Bright White to Subtle and Modern Black, You Will Enjoy the Look and the No Maintenance of Vinyl Fence. Chain Link Fencing... Not So Boring Anymore. Chain Link has Come a Long Way... We Can Create a Designer Look Using Black Chain Link and Black Posts. Or Stick With the Traditional Galvanized Silver Look. We Will Impress You With Our Quality. Vinyl Rail, Horse Fence, Deer Fence. 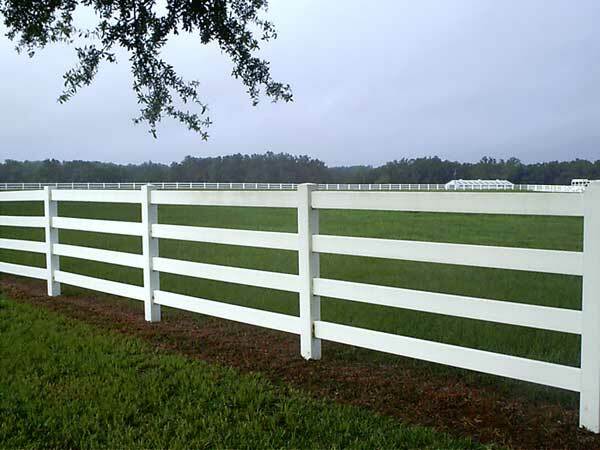 From the Sleek Look of 3 Rail White Vinyl Estate Fence to 8' High Deer Fence, We Can Provide You With Superior Quality Within Your Budget. Modern Galvanized Corrugated Panels with Metal Posts and Wood Slats. Modern, Simple, Private. Black Corrugated Panels with Redwood Posts. You Dream It... We Build it. We Can Provide You With Drawings of What Your Fence Will Look Like. Or Have a Peek Around Our Idea Pages and See if there is Something that Works for You! Photos here are for inspiration!